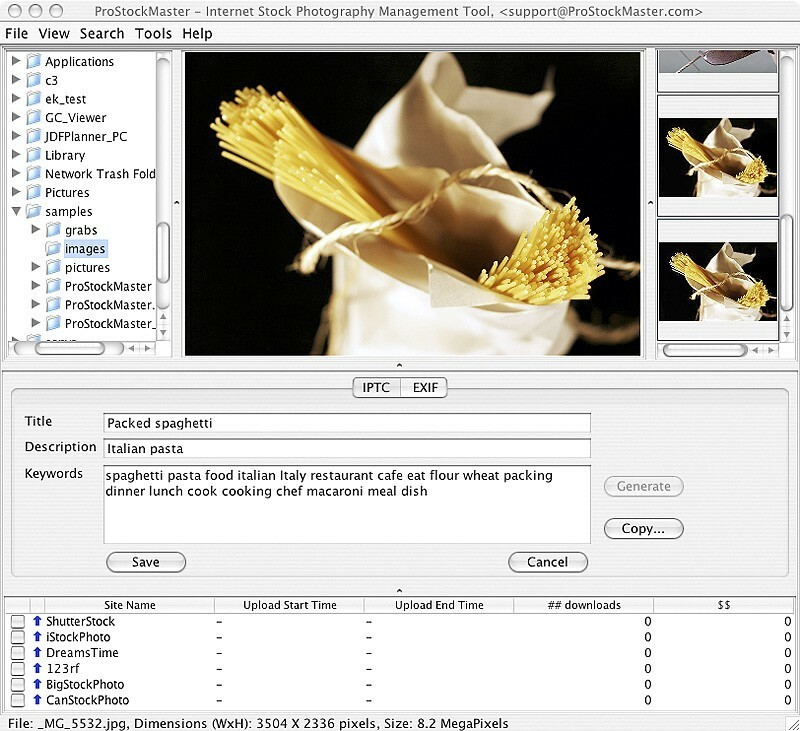 ProStockMaster helps thousands of stock photographers in preparing and uploading their images on leading microstock sites: iStockPhoto,ShutterStock,DreamsTime,123rf,BigStockPhoto,CanStockPhoto,LuckyOliver,Fotolia and sharing portfolio on MySpace.com. a free copy of ProStockMaster and turn your photos into cash now! - Upload all your images to multiple stock photography sites just in one click! You can upload a complete image folder now! (see how) Alternatively, you can select the upload sites for every image you want to upload and then upload all the selected images just in one button click. - Easy keywording (tagging)! Enter a word or two and get tens of automatically generated keywords relevant for your image - just in one button click! - Copy keywords, title and description from one image to another, making keywording of similar images extremely fast and easy.